Here at FENSYS we believe our Premium range of 100% polymer deck boards are the most advanced high specification deck boards available. With many market leading design features and exceptional weatherability our deck boards not only look good but offer years of untroubled use; Read on to find out why we believe our boards out perform the rest. Polymer does not rot. Polymer does not adsorb water. Polymer is stain resistant. Polymer needs no preservative treatment, painting or staining. Polymer will not promote the growth of fungus, lichen or algae. 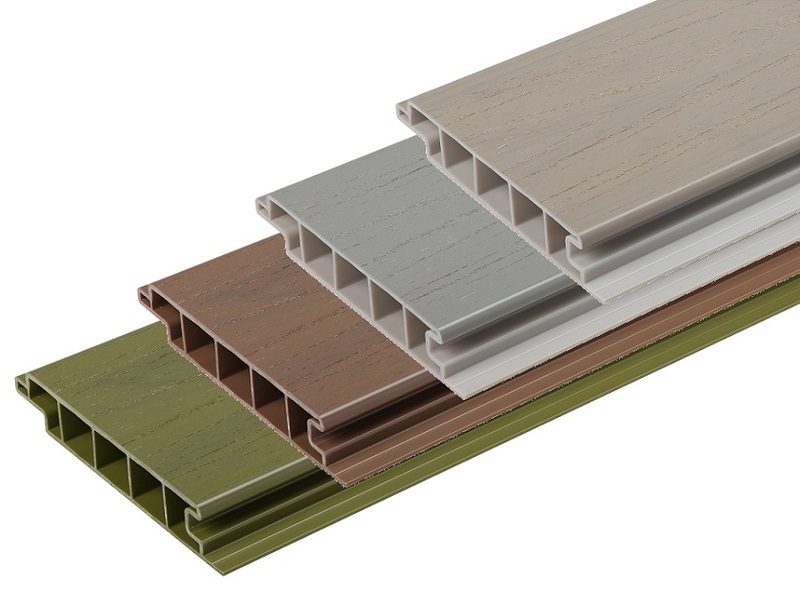 Polymer is simply the best material that can be used to manufacture a long life weather resistant outdoor decking product. Adding filler materials such as timber or rice husk to produce a composite can improve the natural appearance but will detract from most of the performance characteristics of a 100% polymer product. At 180mm wide and 35mm thick the cellular design of our deck boards mean they are extremely strong. A heavy duty tongue and groove feature ensures that when you tread on one deck board the load is well distributed across the deck. Having structurally tested our deck boards at official testers, Lloyds British Testing and parked cars on exhibition decks, we can say with confidence our product will take the load. 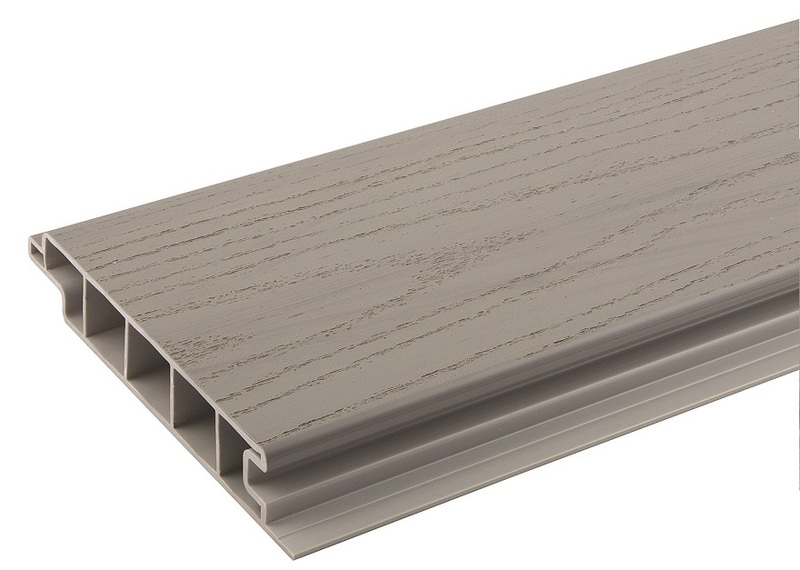 The tongue and groove feature allows our boards to be fitted with a 2-5mm gap; this completely hides any fixings from view. The result, a seamless ascetically pleasing finish. Designed for strength our boards are manufactured with an integral fixing flange meaning no fiddly clips sitting visible between the boards. The integral flange enables secure fixing of the deck boards direct to sub-frame joists. Our boards are manufactured with a cap layer that covers all seen faces; we use the most advanced UV resistant outdoor grade polymers available to ensure your deck remains looking good for many years of untroubled enjoyment. No other product manufactured in the UK can offer performance that matches our Premium Excel range. Our bare foot friendly deck boards have a prominent wood grain pattern and a back ground stipple pattern that further advances both appearance and slip resistance. So to keep you safe, dry or wet our product meets all recommended standards as set out in Health and Safety Executive slip resistance standard BS7976-2. Using advanced production techniques our Tawny, Antique Oak, Woodland Green and Driftwood deck boards are manufactured using a multi toned colour process that simulates natural variation. With no two boards being manufactured exactly the same; our Excel deck boards have an unparalleled natural look. Developed in line with modern building materials, our Eco range can give your deck a modern clean appearance whilst matching or contrasting to your home. 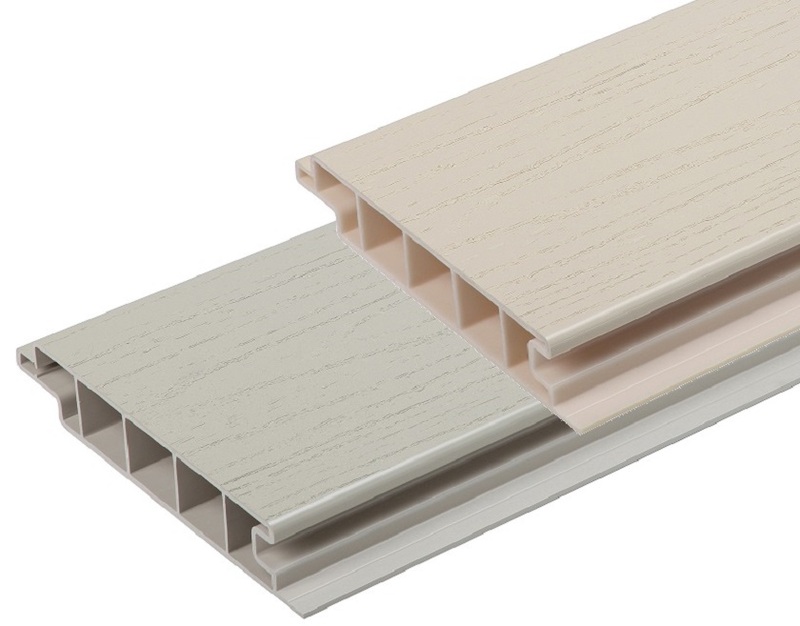 Cream and Beige deck boards are supplied as standard and for hotter climates we also offer white. The Eco range cap layer uses an industry standard engineering grade polymer whilst the base layer includes some recycled material. The result is a product with some green credentials that also looks after your pocket.